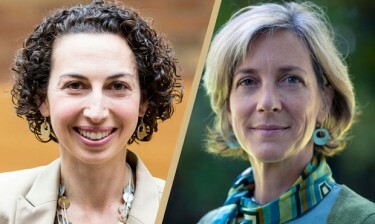 Emily Fox, associate professor of statistics and of computer science and engineering and Amazon Professor of Machine Learning, and Catherine Karr, professor of pediatrics in the UW School of Medicine and of environmental and occupational health sciences in the UW School of Public Health, were among the 102 recipients announced by the White House this week. Awardees are selected for their “pursuit of innovative research at the frontiers of science and technology and their commitment to community service as demonstrated through scientific leadership, public education or community outreach,” according to a White House release. Her machine learning research has been applied in a wide range of domains, including neuroscience, finance and econometrics, human motion and social networks. Some of her latest projects include analyzing functional connectivity networks in the brain from neuroimaging data, modeling highly localized house price indices in collaboration with Zillow and developing a novel statistical framework for analyzing sparse social network data. Fox is also an adjunct associate professor of electrical engineering and a data science fellow of the eScience institute. Karr, who was nominated by the U.S. Department of Health and Human Services, uses a community engaged approach to research focusing on environmental contaminants and pediatric respiratory health — including asthma, the health of farmworker children and global children’s environmental health. 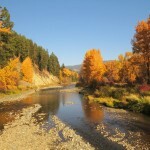 Recent projects include working with Native American and Latino communities in the Yakima Valley to develop low-cost air pollution sensors aimed at reducing wood smoke exposure, conducting an intervention trial among Yakima youth with asthma to evaluate the effectiveness of home air cleaners and investigating how exposure to environmental factors from conception through early childhood influences the health of children and adolescents. 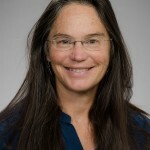 Karr, also an adjunct professor of epidemiology, directs the Northwest Pediatric Environmental Health Specialty Unit, a regional consultation and education service. She also cares for patients and teaches resident physicians at the Pediatric Care Center at UW Medical Center-Roosevelt. More than a dozen federal departments or agencies nominate young scientists and engineers from across the country whose “early accomplishments show the greatest promise for assuring America’s preeminence in science and engineering and contributing to the awarding agencies’ missions.” The final awards, first established by President Bill Clinton in 1996, are coordinated by the Office of Science and Technology Policy within the Executive Office of the President.